Information on all boarders is saved in the database of the JÍDELNA software. Each boarder is given one or more identification cards divided according to canteen and price categories. The boarders can be separated into groups for the purposes of overview sets (for example employees, visitors, external, etc.). Each boarder is attributed to a price category that determines the price of meals. For each issued ID card, multiple meal-taking can be enabled for the purposes of takeaway meals, for example. Credit: a separate credit account is assigned to each boarder. The price of an ordered meal is deducted from the said account according to price levels. Each boarder deposits money to his/her account according to his/her wishes. At any time, the boarder can see the current balance of the account on the display of the order terminal or on a computer. When the credit is exhausted food cannot be ordered further and the account has to be credited or a negative credit can be allowed to a boarder. Deduction: in this case the account settlement is performed retrospectively for a given time period (in most cases a month) and the calculated sums are settled by a salary deduction. As in the previous case, the boarder can see the balance of his/her account at any point starting the beginning of the time-period. When a boarder is deleted (due to termination of work or studies) a closing of his/her account is performed and the possible overdraft is paid for the remaining credit returned. The returned ID card can be assigned to a new boarder if needed. Data about boarders and meal ID cards can be managed manually or updated according to attendance or other personal systems that include the required data. In such a case, opening a new boarder account and the deletion of an old one or data update, card exchange, etc. are performed automatically. In the case of installation of the attendance and wages system, from our company all these applications use a shared database, data import or export is therefore unnecessary. The meal system enables the user to set all operation parameters according to the needs or habits already used in the canteen. Any restriction is defined by the personnel themselves. It is possible to work with any number of types and kinds of meals that can be ordered in any time prior to eating. Specific operation characteristics depend on the type of ordering terminal used. Price is determined for each type of meal in each price category. Links for automatic order can be defined between individual types of meal. The manner of ordering (manually/through terminal) is determined for each meal as well as the time for its distribution and place on the terminal keyboard. Meals can be ordered in several ways. Individual ways can be combined according to the customer’s needs. Meal orders are submitted from the terminal into a computer. The computer personnel can correct orders manually (for example order more or cancel an order after the orders from the terminal are closed). Terminals enabling the boarders to order, cancel or change ordered meals within the time period determined by the personnel are used as ordering terminals. 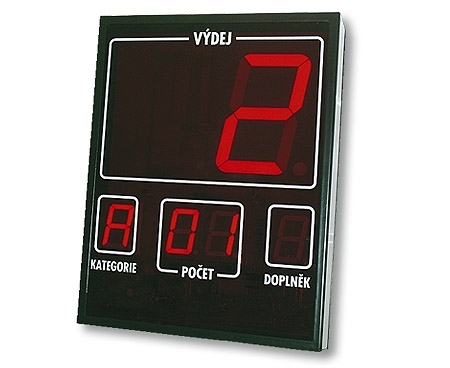 The choice of meal and day for the order are selected on the keyboard and confirmed by touching the identification medium. The display of the terminal shows the updated credit balance of each boarder. The menu for the days of order is drafted on computer. Meals from a database can be inserted into the menu or new types can be introduced and saved for future use. A computer with an LCD touch screen, including an ID media reader; an application enabling comfortable meal orders is running on the computer. Information about credit balance, meals given, etc. can be reached through the application. With an internet browser, it is possible to easily and comfortably view the menu, order meals, search through information on monthly accounts and credit balance. In case of the simultaneous installation of our attendance system, the intraweb client is shared by the attendance and canteen systems. 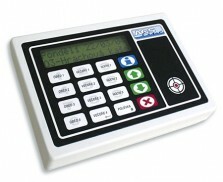 When orders are closed, the information is transferred to the distribution terminal (in most cases the module includes an external sensor placed before the distribution point). The used hardware can differ according to the number, character and needs of distribution places. When taking the food, the boarder only places his/her card to the scanner and the terminal assesses the order and displays information needed for the distribution of the meal. Information is displayed on a big screen for better orientation and visibility for multiple chefs. The screen mainly displays the number of ordered meals and information on size and number of portions, but also information on the order of extras (for example soup), if it is needed. The physical distribution of a meal is generally confirmed by a chef by pushing a button thus enabling him/her to regulate the speed of distribution. Unauthorized or repeated distribution is signalized by a sound. The distribution terminal gives the personnel information on the overall number of individual meals and numbers of portions distributed so far. Meals not ordered in advance can be distributed through the terminal, for example, for an unexpected visitor. A time interval is set for each meal within which the distribution of the given type of meal takes place; outside this time the terminal does not accept any cards. When the canteen system is used together with the attendance system the two cooperate not only for the purposes of boarder personal data synchronization, but foremost on observing and assessing meal distribution according to worked shifts. Each employee is entitled to a number of assisted meals that corresponds to the number of worked shifts within the monitored period. The meal voucher item can be configured within the attendance system. The item is calculated on a basis of given rules (after what period and under which conditions the employee is entitled to such). These attendance data is then retrieved by the canteen system which then calculates sums for the distributed meal. Meals taken over the limit are paid by the employee in full amount without any assistance by the company. This procedure ensures meal payment information outputs for the wages or accounting system without any further actions required.